The Wizard Nebula is a collection of interstellar gas surrounding the open star cluster, NGC 7380. It lies approximately 7200 light years away from Earth and has an apparent magnitude of 7.2 in the constellation Cepheus. While impossible to observe this deep sky object visually from my backyard, it is well within reach of my current astrophotography equipment. Extremely dark skies and an OIII filter are required to observe Sh2-142 (Sharpless catalog) through a telescope eyepiece. 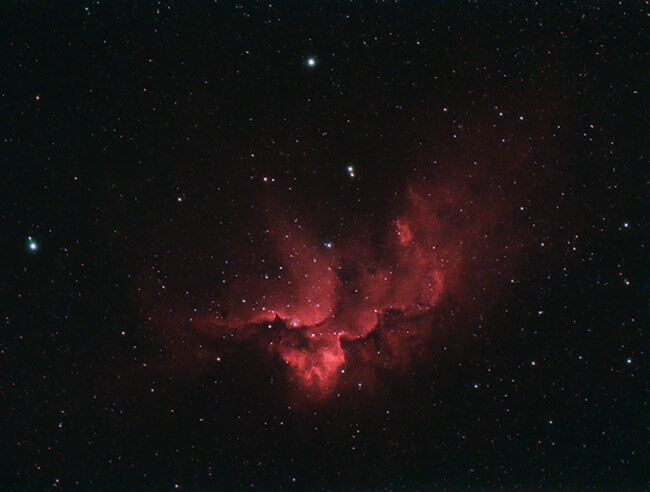 Over the years, I have photographed the Wizard Nebula many times using a variety of different cameras and telescopes. The latest image includes data captured using a cooled CMOS astronomy camera with a duo-narrowband filter in place. The combination of interstellar gas and dust in this deep sky object have created a shape that resembles a sorcerer, or, wizard. From my latitude in the Northern Hemisphere, the constellation Cepheus sits in an advantageous location of the night sky. 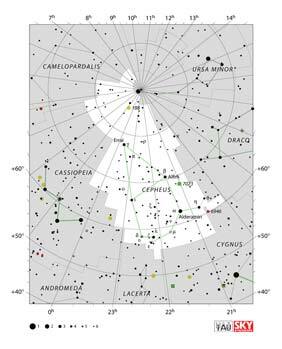 Nested between Cygnus and the North Star (Polaris), Cepheus travels high into the Northeastern sky during the fall. This gives me a large window of photographic opportunity to collect as much exposure time on this nebula as possible. In the video below, I photograph this emission nebula using a one-shot-color dedicated astronomy camera (Altair Hypercam 183C) through an Explore Scientific ED102 refractor telescope. The process of creating the final Ha + RGB image is discussed further down this post. 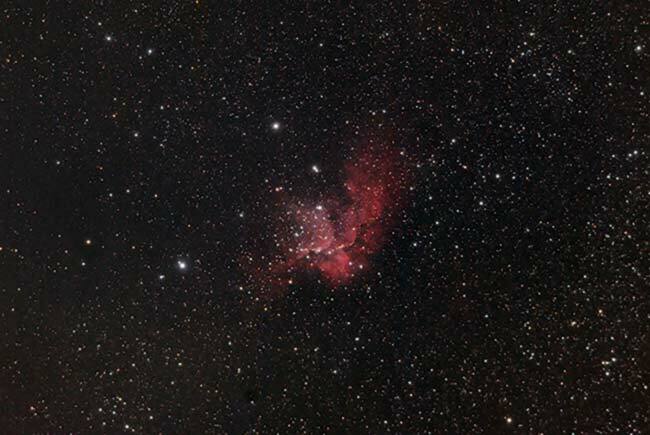 Having captured many different types of nebulae over the years, I can confidently tell you that the Wizard Nebula is a rather challenging target with a DSLR camera. If you plan on photographing this deep sky object through with a telescope, I recommend using a modified DSLR camera. 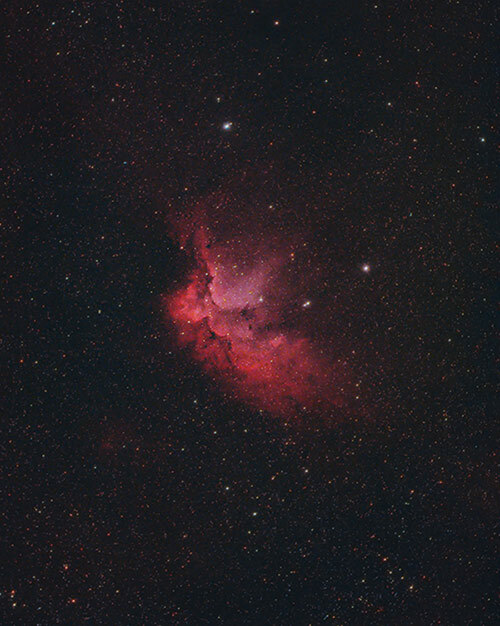 The emission nebula gas in this object is strong in the light wavelengths of the Ha and OIII bandpasses. Isolating these characteristics using narrowband filters is recommended. It should come as no surprise that my personal best image of the Wizard Nebula was captured using a one-shot-color cooled astronomy camera, with a duo-narrowband (Ha + OIII) filter in place. A camera with TEC (thermoelectric cooling) is advantageous as is can dramatically reduce read noise on the sensor. The constellation Cepheus, where the Wizard resides, resides between the constellations Cassiopeia and Cygnus. In the Northern hemisphere, the deep-sky objects found within this area are well photographed by backyard astrophotographers. 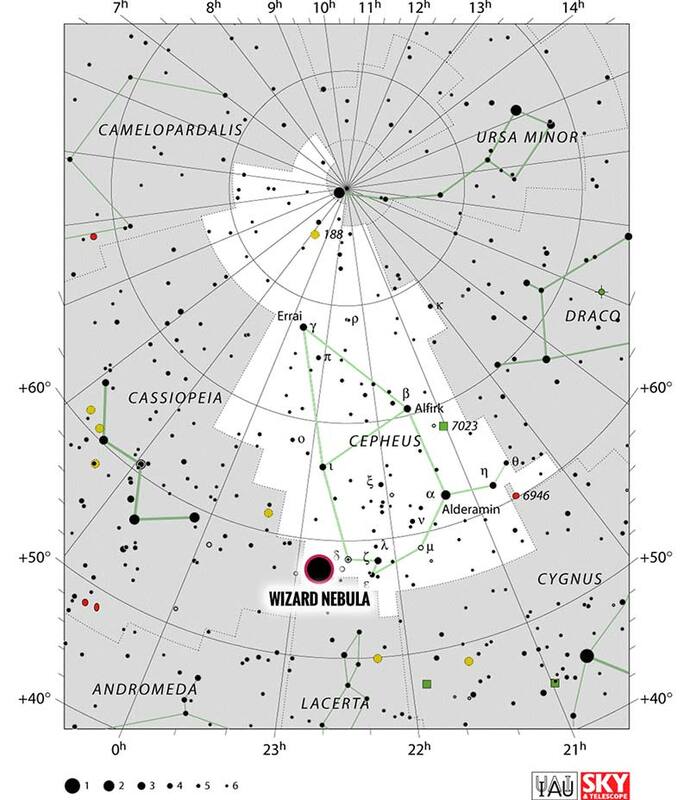 Click on the star map below for the location of the Wizard Nebula. A goto mount such as the Orion Sirius EQ-G can make locating dim nebulae such as this one a lot easier. After a quick star alignment procedure, you simply need to punch in the object name on the hand controller. I have become spoiled with this ability since purchasing my first goto mount years ago. In the summer of 2014, I photographed this object using a Canon Rebel Xsi DSLR Camera (450D). The camera was “astro-modified” by removing the stock IR cut filter. I used this video tutorial to modify the camera myself. The image has a wide field of view due to the focal length (480mm) of the Explore Scientific ED80 telescope used. I’ve even cropped the frame to about 50% for the view you see above. I’ve also heard this nebula referred to as the Flying Horse nebula. Do you see it? This is not an easy nebula to photograph, as it took me a whopping 7 hours of total exposure time to bring out the details in this image. A large number of 5-minute light frames were registered and stacked to improve the signal-to-noise ratio in the image. The complete details of this image can be located further down this page. 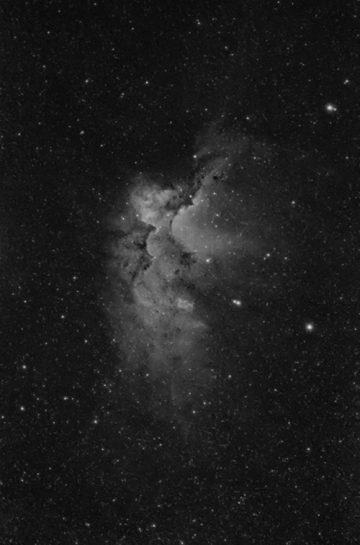 I later re-visited the Wizard Nebula using a larger telescope, and more sensitive deep sky imaging camera. I also began to incorporate narrowband Ha data was added to further increase the details in this object. The version above was created using an image processing strategy known as HaRGB. By combining narrowband data (especially h-alpha) you can really boost the details of a traditional color deep sky image. It is a fantastic way to overcome the challenges with shooting in a light polluted city sky. The method used for creating the HaRGB composite can be found here: Combine Ha with RGB in Photoshop. The astrophotography equipment seen here includes an autoguiding setup to allow for longer exposures. 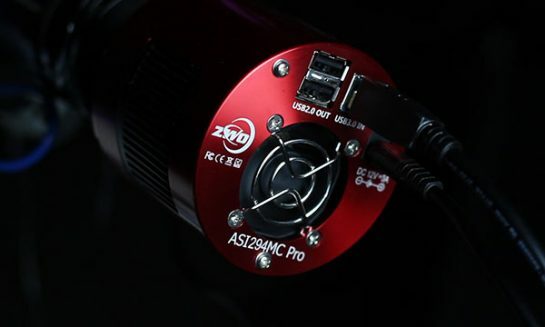 The camera is controlled using a software called Astro Photography Tool. 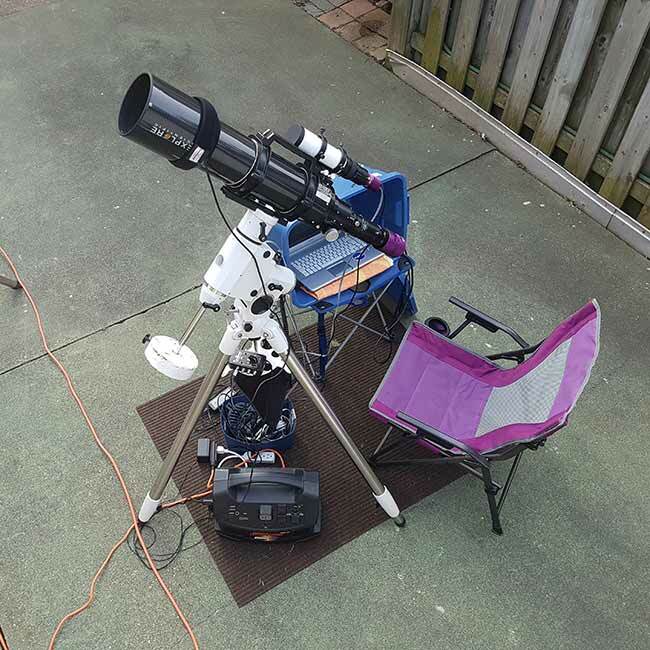 This is a typical looking setup for capturing deep sky objects in space from my backyard. When traveling to darker skies, it’s more convenient to use a portable deep sky astrophotography kit. The Wizard Nebula has a very dim surface brightness, which can make it difficult to photograph in (true-color) broadband RGB. It requires many long exposure images to create an adequate signal-to-noise ratio for serious image processing. My first attempts at this nebula with a DSLR camera involved pouring many hours of imaging time on this target, and my results were a little discouraging. It wasn’t until I started adding narrowband Ha images to the mix that the structure really started to come forward. Astrophotography with the use of narrowband filters has many advantages, especially for those who shoot in heavy light pollution. The following image was captured using a one-shot-color astronomy camera (Altair Hypercam 183C) with a 48mm Astronomik 12nm Ha filter in front of the sensor. I hope that my imaging notes and example images have given you a better idea of what to expect when attempting to photograph the Wizard Nebula. 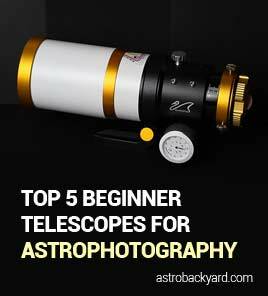 No matter which type of astrophotography camera or telescope you use, the joy of photographing breathtaking objects in space such as this is a rewarding experience.